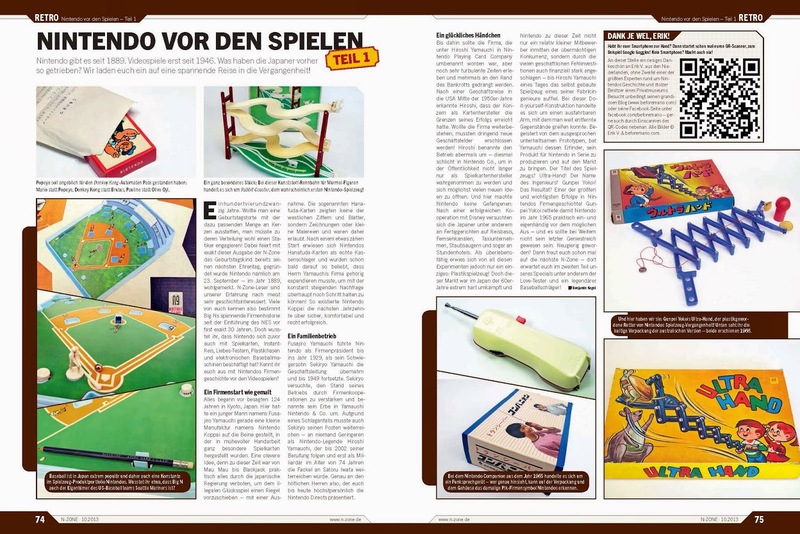 This month's issue of N-Zone features a retro special on Nintendo's history before they made video games. 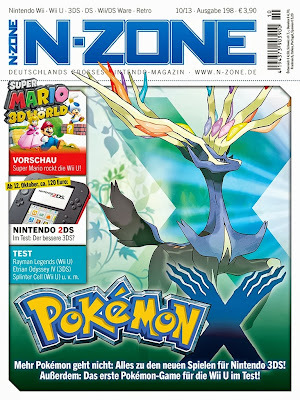 N-Zone is Germany's biggest Nintendo magazine. This special is the first in a series of three parts. The first part focusses on the period from the start in 1889 to the introduction of the Ultra Hand. 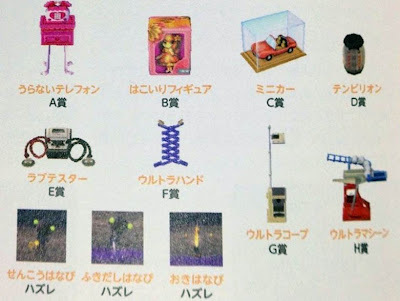 The images that illustrate the piece may look familiar to regular readers of this blog, as they were provided by beforemario. 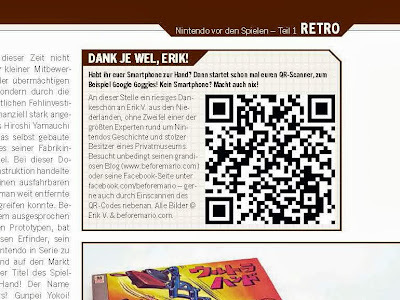 I gladly support these kind of publications that contribute to spreading the story about Nintendo illustrious past. 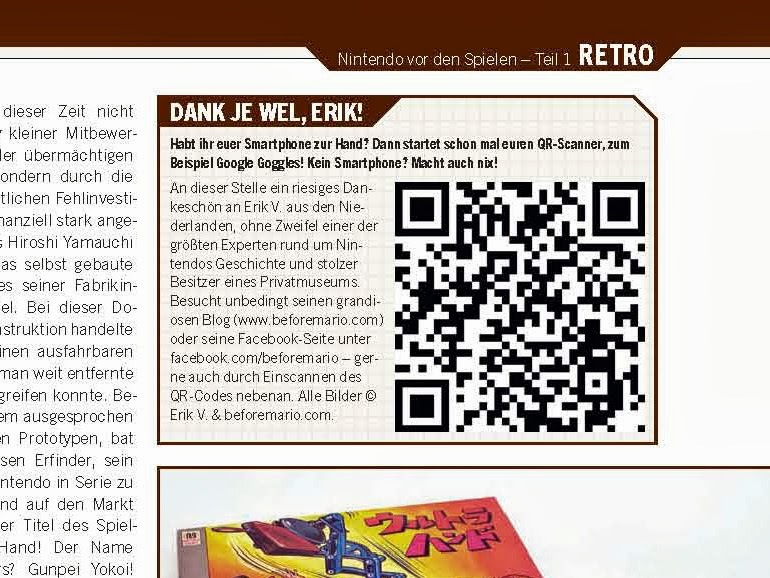 The N-Zone team returned the favor by including a QR code with a link to my blog. The next two parts will appear later this year, in the N-Zone of November and December. 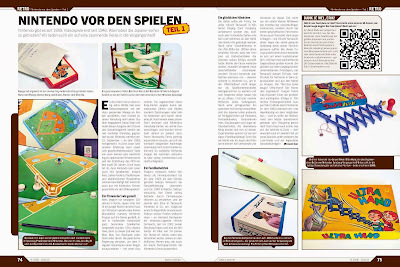 About a week ago, in the weekend of September 14 and 15, a game event called Retro Game Experience was staged by the Netherlands Institute for Sound and Vision located in the Dutch town of Hilversum. The program looked very promising, so I headed to Hilversum on Sunday. I took my two daughters along, and hoped they would also appreciate the original arcade experience that was recreated there (they did). The event was divided in three main areas. One the ground floor you could find a set of Japanese arcade games from the 90s and 00s and a large selection of home consoles and home computers. One floor up was the best part of the exhibition: a full-fledged arcade room with many games from the 1980s, including - obviously - a healthy selection of Nintendo arcade games. It was a really hands-on affair; all that was on display was playable as well. The event attracted a good crowd but it was not too busy, so you did not have to wait too long to play. 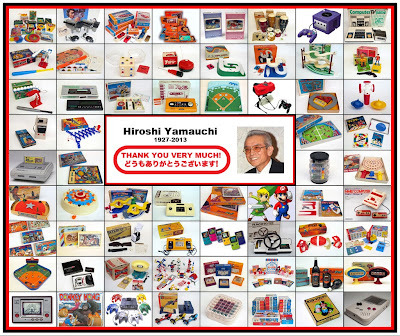 Today Hiroshi Yamauchi died, aged 85. Mr Yamauchi led Nintendo from 1949 tot 2002 as company president, and was chairman of the board from 2002 to 2005. 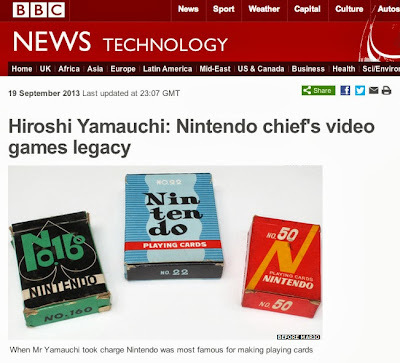 Without him, Nintendo as we know it today would not exist, and the gaming world would be totally different. It is simply impossible to comprehend the many many hours of pleasure and joy he and his team have given the world. 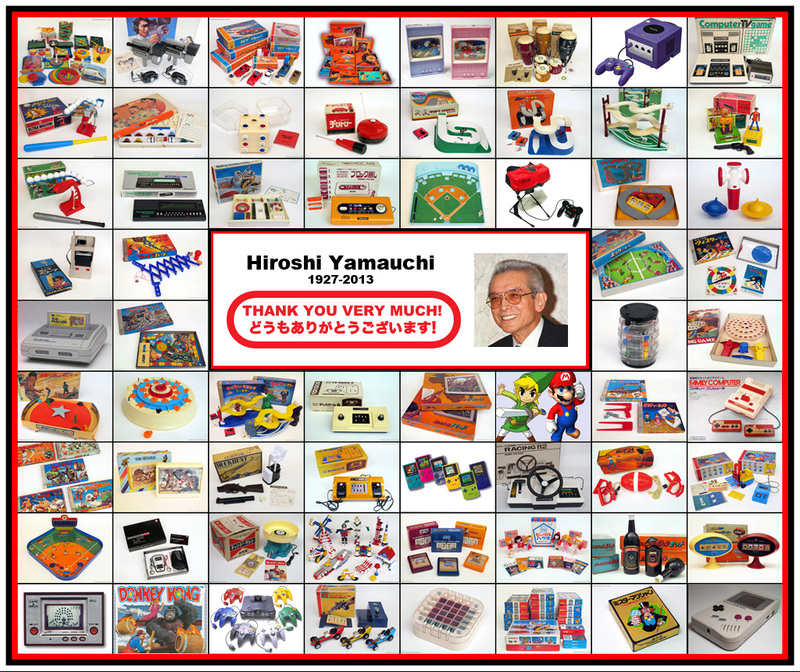 Thank you, Mr Yamauchi! ありがとうございました山内さん! 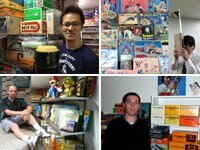 In previous episodes of this blog's Meet the Collectors series, we have already seen some of the best collections out there that are dedicated to Nintendo's history. But even though these consisted of wonderful displays of Game & Watches, vintage toys and retro video games, there is one department that has been seriously underexposed here so far: arcade games. 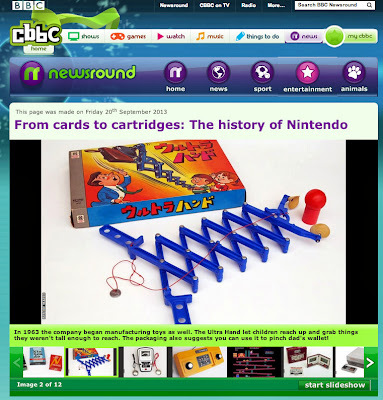 Arcade games are an important part of Nintendo's history and heritage. Key Nintendo characters and game franchises were born in the arcade. 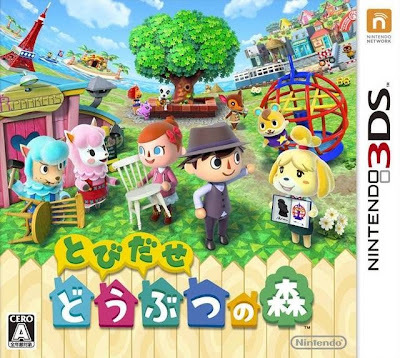 Many of today's Nintendo collectors first got exposed to Nintendo through these games. Most of us love them for it. I know I do. But collecting arcade games is a different matter altogether. They are big and heavy. Their monitors and printed circuit boards are sensitive to technical problems (contrary to consoles and handhelds, which are virtually indestructible). 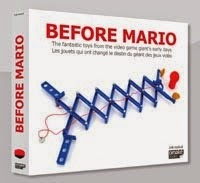 Most arcade game have been out in the field for many years, resulting in wear and tear. So they usually require tender love and care to restore, get working and maintain in top shape. 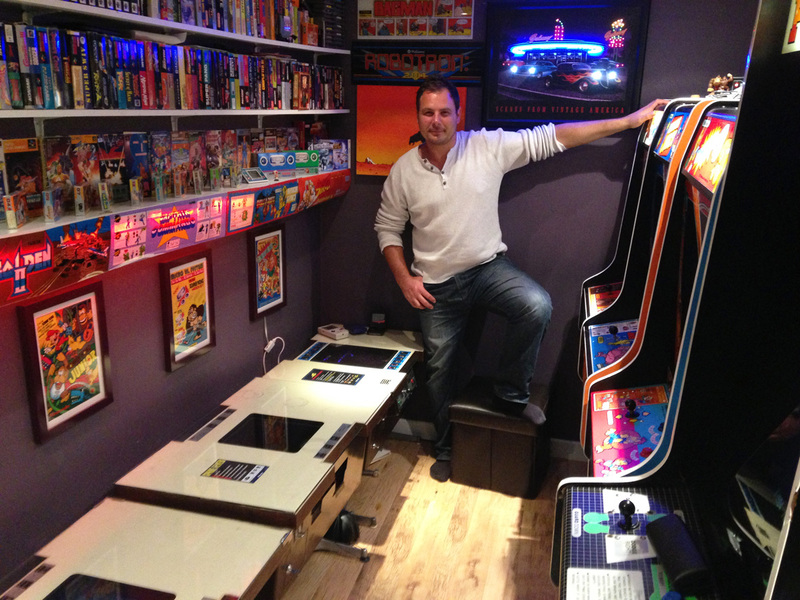 It takes some special dedication to build your own home arcade. In today's episode we will meet Alex, who has done just that. Even more exciting is the fact that he created a Nintendo arcade! Alex loves his arcade so much that he gave up an extensive collection of Game & Watch for it. Talk about dedication! "Hi! My name is Alex Crowley. I am from Twickenham London, 42 years old and I am a brickwork specialist."